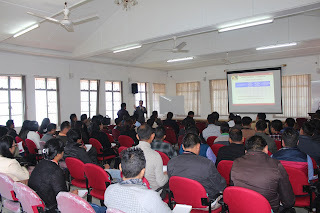 New Delhi: NSE Academy, a wholly owned subsidiary of India’s leading stock exchange National Stock Exchange of India Limited (NSE) and the Nagaland Board of School Education (NBSE) have joined hands to impart financial literacy to Class IX students throughout Nagaland. From the 2017 session, NBSE has made NSE academy’s Financial literacy course compulsory for the students of Class IX, for all higher secondary schools under the Board. NSE Academy also runs a successful Financial Literacy course, in partnership with the State Boards of Tamil Nadu, Himachal Pradesh and Goa. NSE Academy is a wholly-owned Subsidiary NSE. NSE Academy always try to ensure that knowledge about Financial Market is spread equally amongst all. NSE Academy’s initiatives, including partnerships with state and national school boards and schools, interactive courses on personal finance and certification programs, teach school children, homemakers and other non-finance professionals the value of investing, have always provided an introduction to the Indian capital markets and helped to develop new market professionals. NSE frequently conducts financial education workshops through NSE Academy to develop a new generation of investors. Investor knowledge is very much essential to attract the new breed of investors. NSE is the leading stock exchange in India and the fourth largest in the world by equity trading volume in 2015, according to the World Federation of Exchanges. It began operations in 1994 and has been ranked as the largest stock exchange in India in terms of total and average daily turnover for equity shares every year since 1995, based on SEBI annual reports. NSE has a fully-integrated business model comprising exchange listings, trading services, clearing and settlement services, indices, market data feeds, technology solutions and financial education offerings. NSE also oversees compliance by trading and clearing members with the rules and regulations of the exchange. NSE is a pioneer in technology and ensures the reliability and performance of its systems through a culture of innovation and investment in technology. NSE believes that the scale and breadth of its products and services, sustained leadership positions across multiple asset classes in India and globally and its integrated business model enable it to be highly reactive to market demands and changes and deliver innovation in both trading and non trading businesses to provide high-quality data and services to market participants and clients.